After a while I’ve finally finished my new personal project called “Eldorado”. The soil was originally made for a commercial print but the client refused this version asking for less violent soil and so on and so on… We all know how these clients/studio stuff work. 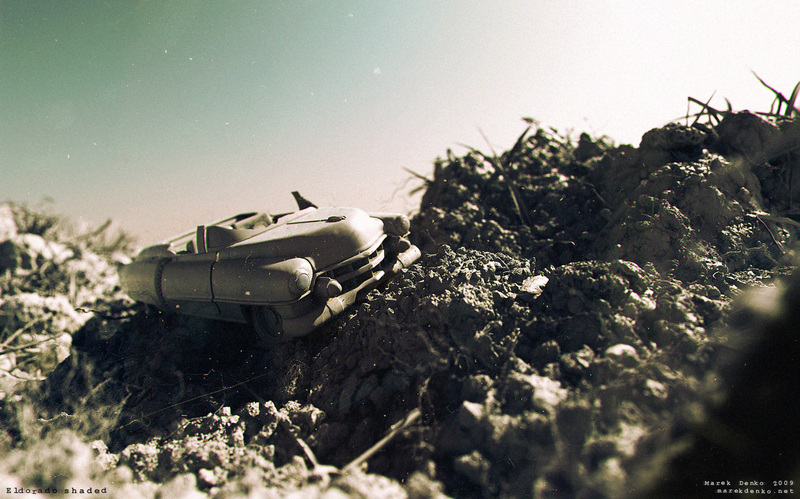 I kept the soil scene and decided to use it for my own project since I liked it pretty much. I added lots of extra features like grass strands, roots, leaves and other small bits here and there. At the beginning I wasn’t really sure what will be the hero of the shot. I was thinking about tennis ball, golf ball, pack of cigarettes, bottle etc. but at the end one little toy car won. Here is why: while I was in Los Angeles in 1Q of 2009 I bought lots of toys for my son Adam. All those action figures like Alien, Predator, Spawn, cars like Audi TT, Ferrari and couple of smaller cars I took because I just liked them. As the months passed by and I started to find these toys on the places all over the house and garden almost destroyed by little 2 and 28 years old boys. I took one of them and decided to put it into this soil environment. It was one of these cars I bought just because I liked it. 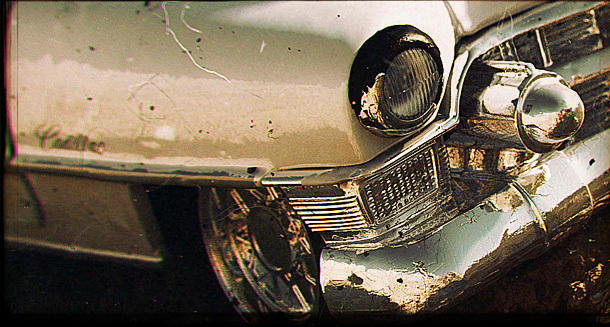 The 1953 Cadillac Eldorado. 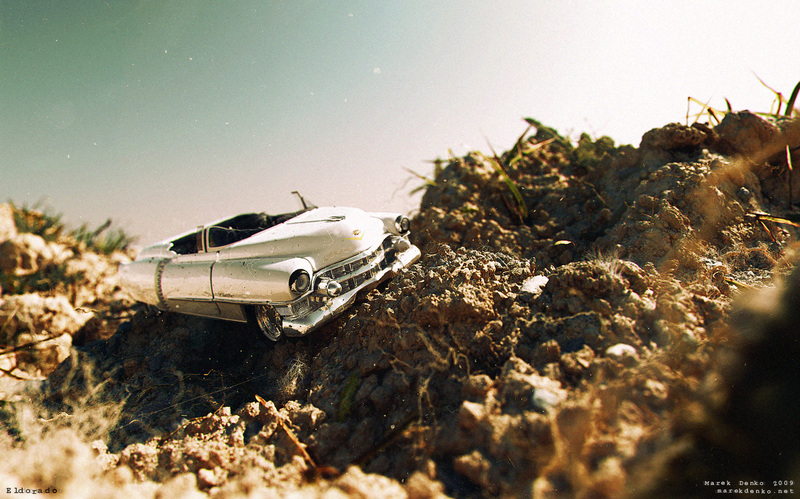 And that’s the story… the rest is just my usual 3dsmax, Vray, Photoshop, a bit of Fusion and couple of hours per day. Routine indeed. I was surprised that it had HUGE amount of polygons. Something around 1,566,320,053 (yes it’s over 1,5 billion ) I never really cared and I checked just now while I was writing this promo text. There are mostly instanced models so it was all rendering using just 8-10gb of RAM. Scene was rendered to 5000x3200px resolution and it took around 7 hours on my 8 core machine with 16Gb of RAM.Dedicated to my family.